The general command of the self-proclaimed army of Khalifa Haftar in east Libya has preconditioned reopening the oil terminals and allowing the exports of crude to go back as normal as they have been to five necessary points. In a statement on Wednesday, the general command said the five conditions are needed to solve the crisis to get it over with the "terrorist groups" which squandered Libyans' fortunes and extorted Libya's government authorities as well as hindered the political process in Libya. "That's why we shut down the ports and handed them to Benghazi National Oil Corporation so we can deprive terrorists from the funding sources and save Libyans' money." The statement reads. "The army didn't get any benefits from the oil revenue since it liberated the oil terminals from the terrorist groups in 2016." It adds. 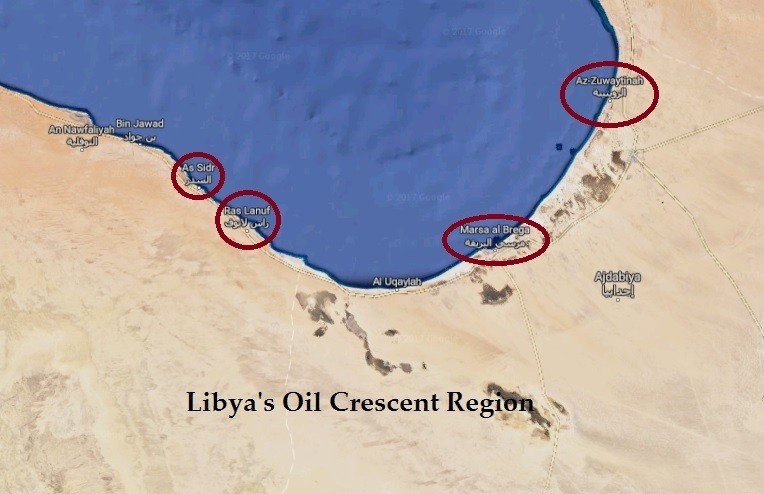 The first condition to reopen oil ports, the statement says, is to appoint the new governor of the Central Bank of Libya Mohamed Al-Shoukri who was picked by the House of Representatives; the second is to appoint a local and international fact finding committee to see where the terrorist groups which attacked the oil ports lately were receiving their funds from; and the third is to investigate why there were no salaries paid to the armed forces over the last period. "Meanwhile, we are to remain committed to all contacts made by Libya but our forces shall remain in the oil crescent region to secure it." The statement further explains. It also said it is committed to the Paris agreement made last May and to the elections that shall be held by December 10 this year. Haftar handed over the oil ports to the parallel NOC in Benghazi after a brief fighting with the forces led by former commander of the Petroleum Facilities Guard Ibrahim Jodran, who only took over the ports for a couple of days, then was pushed out.